GY6 Belt 743mm for 152QMI, 152QMJ, 157QMI, 157QMJ, 125cc - 150cc 4-stroke engines. 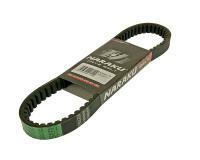 NARAKU high-quality belts. 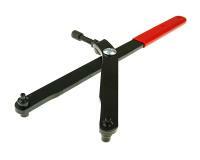 High grip combined with good flex minimise friction losses and transmit the engines power to the road. One of the best belts in the range. Suitable for GY6 125/150cc engines with short engine blocks. Size: 743-20-30.